Large chunks of pork. Minimal serving of soup. Slightly oiled rice. A plate of ‘Yau Char Gwai’. And Chinese tea. If this doesn’t scream KLANG, then I don’t know what else will. Suddenly, it felt like everything’s going in the opposite direction. I almost lost track of things I wanted to share with you guys, the new places in town (okay, maybe not so new but I haven’t been blog-surfing for months now) that I enlisted to try and the travel stories floating inside my cranium (not done with Saigon yet, while Manila was 3 months back!). Nevertheless, if I am slow in replying your comments, e-mails or messages on Facebook, I apologize. I have to thank good old Maxis for the inefficiency in setting up Internet at my home. Enough whining … let’s pork out today. Read on and drool. You know this could be a great weekend breakfast plan. Is it any wonder anymore that Motormouth loves his pork? Give me a glistening slab of caramelized pork (Char Siew for the win! ), or a crackling crispy cut of pork belly (Siew Yoke) dipped into garlic based chili sauce, or even a piping hot-from-the-wok Gu Lou Yuk (sweet and sour pork) anyday, and I’ll die a happy man. A figure of speech lah … who dies for pork anyway …. And then, there’s the Bak Kut Teh. Wait, that does not hold enough weightage. 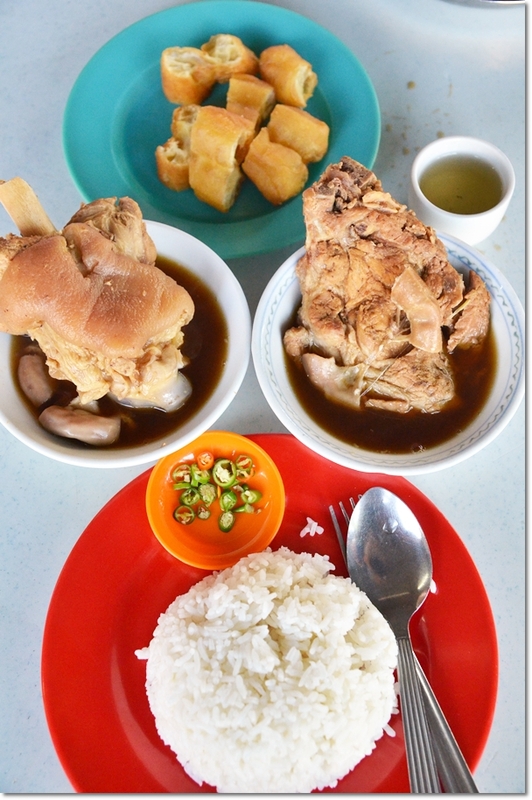 Make it … KLANG bak kut teh. The true blue Klang-bred and raised will tell you where to go for the best in town. More often than not, it could be an outlet you have never heard of, read before or can’t imagine yourself finding without a guide. Or some wee bit of courage. As in the case of one fine Sunday morning where we detoured from the boring breakfasts around PJ to this nameless corner house (I think there could be a signboard somewhere ….. but I did not bother) opposite of Pandamaran A Chinese school in Klang near to Port Klang area. 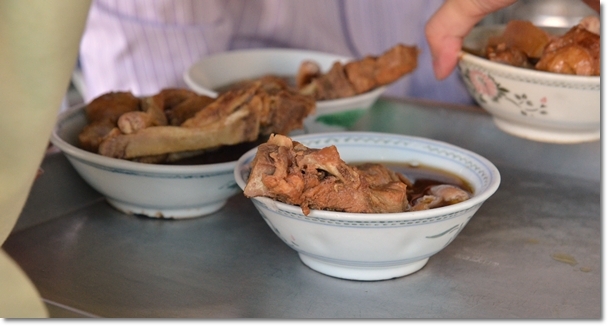 Now the thing about Bak Kut Teh in Klang is that … and I have been repeating this ad nauseum yet loving the academic part of it, there are TWO majorly differing factions. The ones that love the claypot version to bits; and this category of course, includes the first-timers to Klang who will be won over by the sheer quality of some of the best claypot BKT you can find in the country. Seriously. No overwhelming lettuce, mushrooms, enoki and beancurd sheets (fu chuk). I did the first time I had Teluk Pulai’s version. 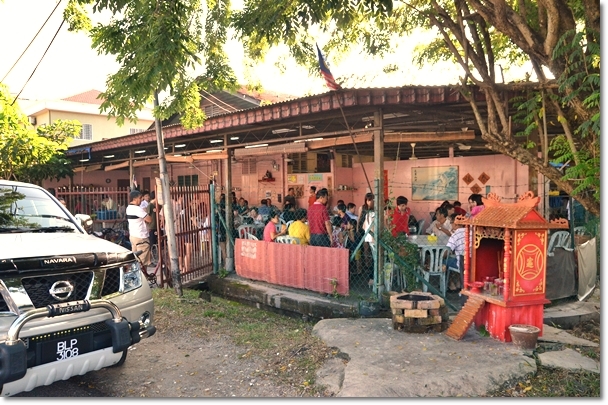 Then the detractors would shake their heads in disbelief and started throwing recommendations and grandfather stories of their own, on how original bak kut teh came in bowls and the one around Klang town (a street away from Seng Huat) coined this term ‘bak kut teh’ where the ‘teh’ actually referred to the surname of the origin; NOT the Chinese tea or whatever tea leaves you believe were in the broth. Me? I don’t persuade you or sway you from your opinion. I love both versions to bits, not excluding the dry version which I think Puchong did that better than some of Klang’s best. However, there are hundreds more of stalls in this cowboy town with a world renowed port that I have yet to step into. 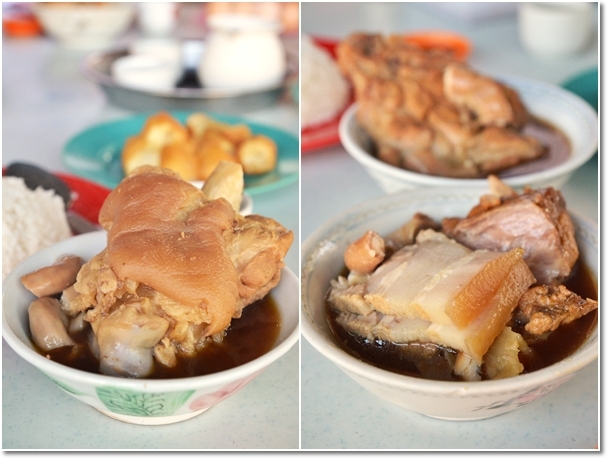 And the journey to discovering the BEST Bak Kut Teh in Malaysia just got slightly …. more interesting after a hiatus in devouring a bowl of this indulgence. 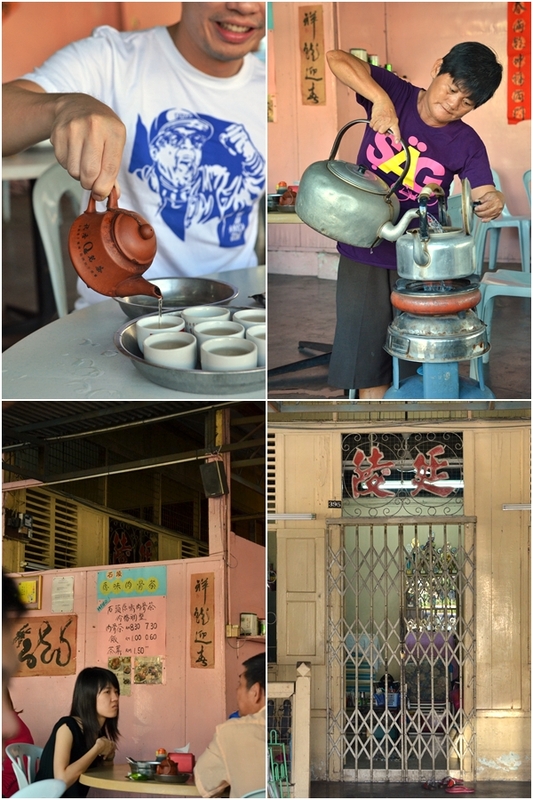 How was the experience at this Pandamaran A Bak Kut Teh? The broth was lighter than how I like it to be; more accustomed to Mo Sang Kor or even Pao Xiang’s version. Seng Huat can be a gamble sometime; very aromatic and thick at times, diluted and bland at the others. 42000 Port Klang, Klang, Selangor. I do miss your long ramblings. Salute to your dedication to update us with your food adventures. Was in Klang just this week & had “tapaued” some BKT for my colleagues from a shop at Jalan Stesen 1. Googled the shop…the name’s Teck Teh. No signboard, mind you. But always fully occupied with customers. I don’t eat pork but from what my colleagues told me, it was a bit on the salty side. Perhaps you could go try it one day. well there is one bkt that migrated to pj. if u are keen go look for jimmy ng.. he is the descendent of one of the pioneers of bkt in klang jalan melayu (the street after under the bridge). drop me an email and i will give u the directions.